Scientific Method is an ongoing photography and video series documenting the processes used by scientists to do their work. In this sequence, taxidermists Melina Franz and Mirjana Pavlovic of the Zoological Department of the Natural History Museum of Vienna showed me how they preserve skeletons and create stuffed animals. 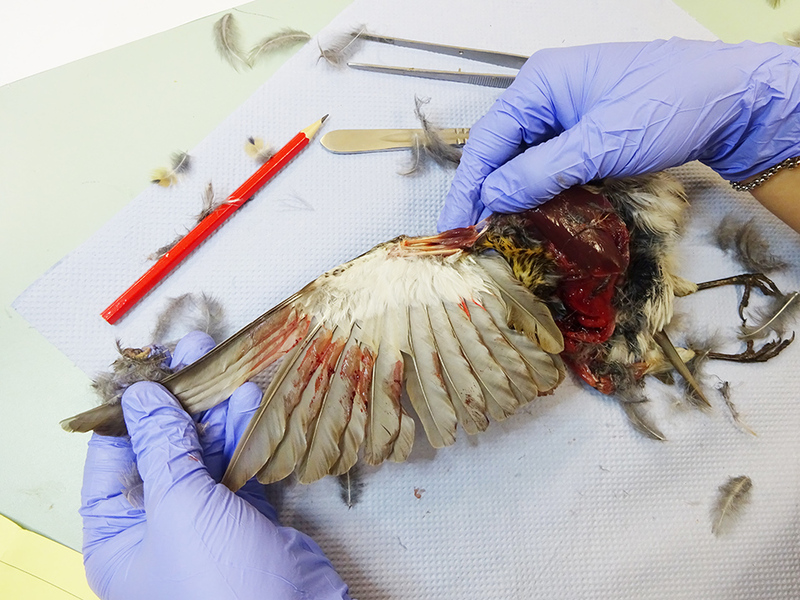 A tissue sample from a bird found by a local was removed and stored for eventual DNA sequencing. Afterwards came the meticulous removal of feathers and flesh. With each removal came more information on how the bird died—one of its legs was injured. Later, the skeleton is cleaned using special beetles that are employed to eat the remaining flesh of the animal, leaving nothing but bones. The taxidermy team, which is composed of mostly women, has won awards for their work. They make the specimens as lifelike as possible so that the public can emotionally connect to them, and so the resulting animals may appear frozen in mid-roar, flight, or chase, as though they might move when you blink. The goal of this ongoing project is to highlight the scientific methods that are often unknown not just to the public at large or to people of other disciplines, but also among researchers in different fields, thus bringing science out of its ivory towers and into public awareness.